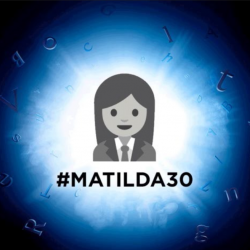 Celebrating the 30th Anniversary of Roald Dahl’s ‘Matilda’ being published, we’re giving away 30 pairs of tickets to Matilda The Musical at the Cambridge Theatre, London or Manchester Palace Theatre. For a chance to win you must comment on the competition post on Matilda The Musical’s Facebook or Instagram channel (@MatildaTheMusical), or reply to the Twitter Post (@MatildaMusical) with your favourite memory of Matilda Wormwood’s story. 1. Thirty winners will be chosen at random across Facebook, Twitter and Instagram and these winners will be entitled to 2 tickets to see Matilda The Musical at the Cambridge Theatre, Seven Dials, London or at the Manchester Palace Theatre. 5. The competition opens on 01 October 2018 and closes at 11:59pm on 07 October 2018. Using her fluent foreign languages to travel around the world working as an English teacher & freelance writer. She regularly sends postcards to Miss Honey who lovingly pins them up in her kitchen. Heading up a life skills company called ‘Change Your Story’ that goes into schools and helps teach children the value of themselves and of being nice to one another. Head Honcho at The Globe Theatre, really sharing her love of words bringing Shakespeare to the masses. Chief Curator of Amphibians in a Russian zoo. A child’s psychologist to help children being abused by their parents. A writer who writes novels and won a noble prize and also helps orphans around the world. Matilda would be an independent woman changing the world for the better. Teaching others and talking about injustice and sharing her passions and experience to benefit other people. Happy Birthday Matilda from everyone at Matilda The Musical!